This will be a hodge-podge post as I find time to write here and there. 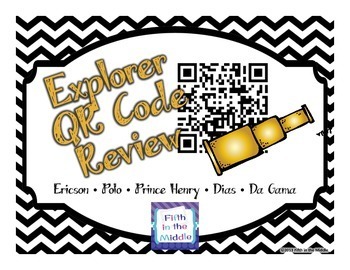 I just finished and uploaded (it is currently Thursday) a QR code review that I'm doing with my kids tomorrow. 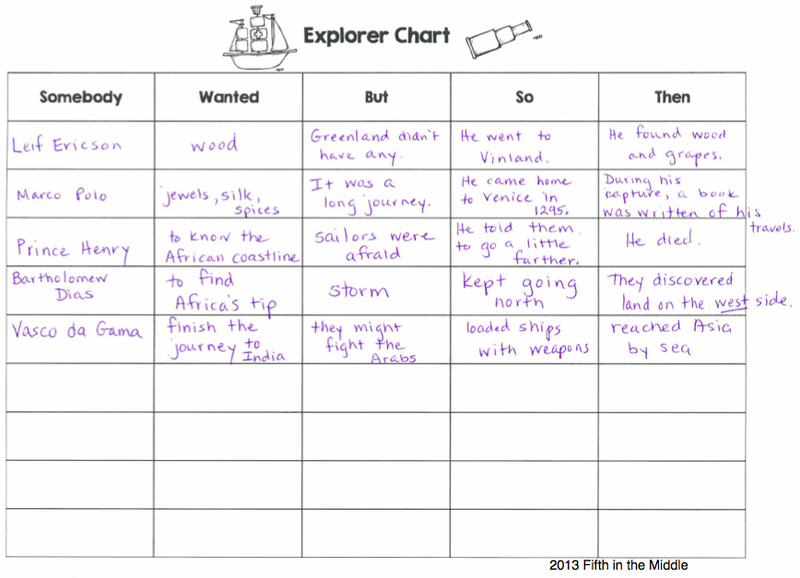 We are about a third of the way through our explorers unit, and I usually do some review and/or a test at this point. After the success of my Native American one, I knew that I had to do this again. 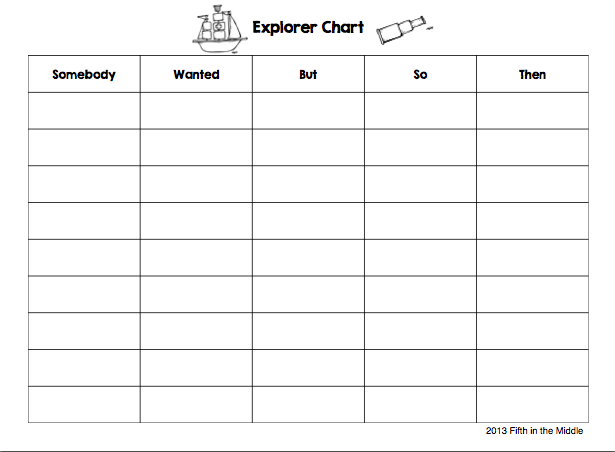 This time, I uploaded this particular activity as a freebie. Click below to grab it. Aaaaaand Monday is here and I still haven't finished this post. Guh. Anyway, early last week, we studied Prince Henry, Dias (did you know that no two resources seem to spell his name the same way?! 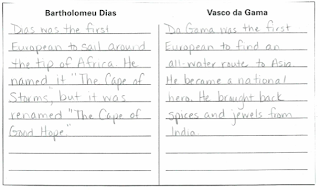 ), and da Gama. 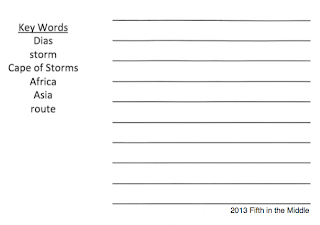 My students always confuse the latter two, so I tried to think of some way to keep them distinct this year. 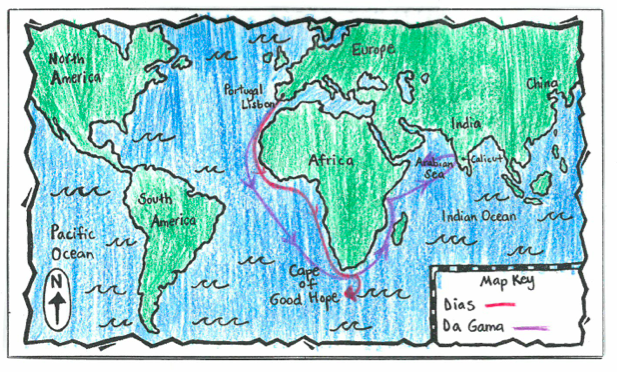 In the past, I've had them color a map and trace the two routes on the map in different colors. Under the flip book, we collectively wrote summaries for each of them. 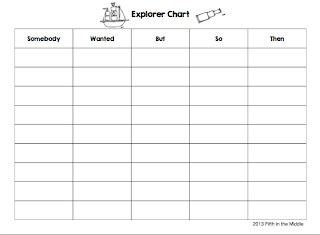 We started with filling it out with Ericson and Polo so they could get the hang of it. 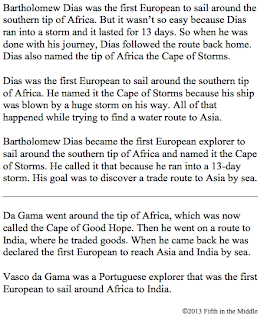 Then we applied it to Prince Henry, Dias, and da Gama. 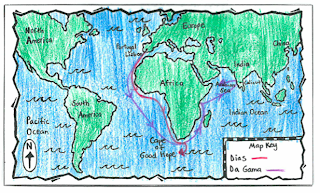 Prince Henry was a little tricky since he didn't actually sail on an expedition of his own. 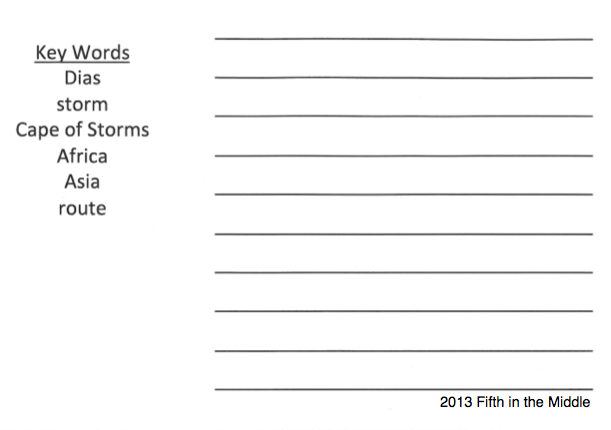 THEN, I gave them a half-sheet of paper with key words and several lines. 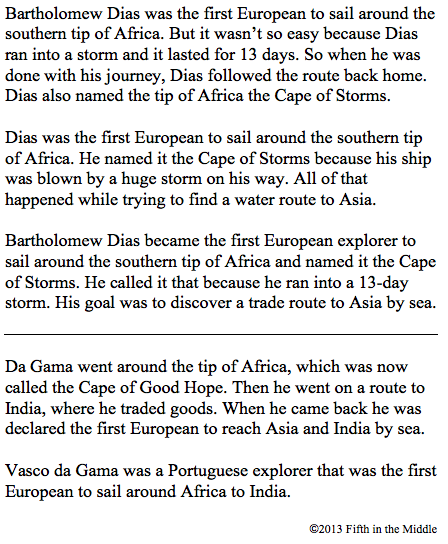 I asked them to write a summary of Dias using the key words somewhere in it. 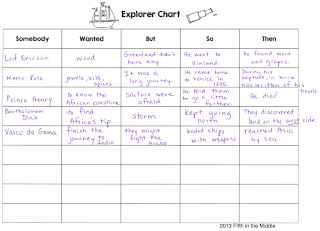 Then they paired with another student and decided which one to use. Then two pairs got together and chose one between them. Then two sets of quads together settled on one. I quickly typed up the three remaining summaries and those became the three choices that they could copy into their flip book. All students handed in their summaries to make them accountable, yet we ended up with three great choices that I didn't have to write myself. 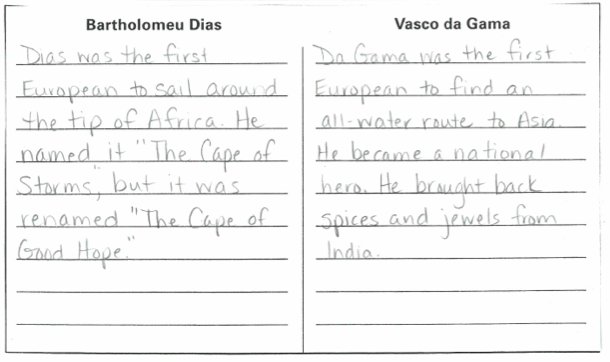 We did the same with da Gama, and our flip book was finally done! QR Codes are always so much fun for students! 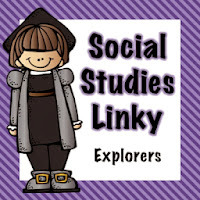 I've added your post to a linky. I hope you don't mind!